Gray hairs can Mar your eternal look good features and make you self conscious. Premature greying of hair is an unwelcome sign of ageing. Hair turns gray when production of melanin is impacted. Gray is caused by several factors, including poor nutrition, genetic traits, hormonal imbalance, pollution, job stress, sinus infection and using the wrong hair products. Everyone asks for tips to handle gray hair although in reality this is more complex process. I remember the first strand of gray hair I got and our helper couldn’t resist to quote “ Have you been using salt in the hair for the hair are turning grey.” For me the first few strands were the cause of constant commuting to the industrial area for my training and just being 23, I chose to ignore them. But soon I saw that these hair strands were becoming more common and so were the advises. Some backed the advantages of mehndi and some shikakai. Loving gray hair can be difficult. Many people remain in awe as to how gray hair can be beautiful as well. Lighter shade: Gray hair turn yellow and coarse on excessive exposure to sunlight. Also, trying to have that natural look takes a negative impact as the actual hair color dulls with age. Therefore it’s advised to opt to a lighter shade of the natural color. A friend of mine uses super black color and the end result he looks a walking mess of black strands and wrinkles. So keep it natural. Plan and style: The beauty expert can help you in giving tips to handle gray hair Handling a combination of lighter and darker highlights can help you stay ahead of those graying streaks. Also if you to flaunt natural gray hair then remember it works best for those with fairer skin tones. Those with curly hair or thinning strands may avoid going naturally grey and settle for subtle color. Uneven grays: If you are looking for tips to handle gray hair eloquently then convert these into strategic streaks. I especially like the sleek look carried by the late prime minister: Smt. Indira Gandhi. gray hair and black in a poise so elegant. This allows to keep the Greys well blended and managed. Further the color doesn’t work so simply on the grey hair. Hence a peroxide wash is suggested to treat the hairs to ensure the color stays in longer. 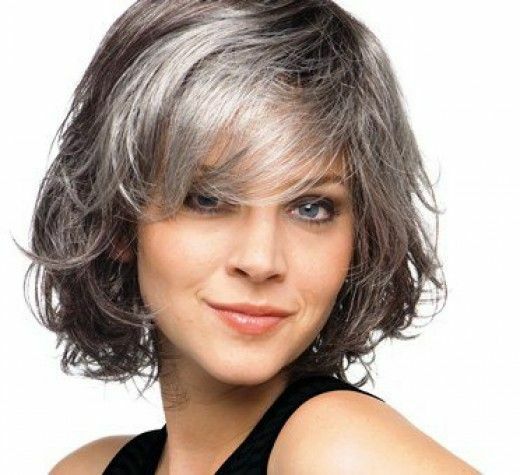 Get total greyout: Another of the affordable tips to handle gray hair includes embracing total grey color. This can be well blended in by the help of beauty expert to create Platinum blond or golden white combination that is surely going to make you stand out. Again, this option requires expert help to retain the freshness vis a vis keep the results chic. If you have already accepted the all gray look then go for a good conditioner. Another alternative is to have a lemon hair wash to reduce discoloration. Understanding is must for the fact that all is not well with dyes and can cause illness. Dab makeup: Makeup in lighter shades of roses and peaches can complete the grey style. The lips and eyes too need special attention as age doesn’t act nicely with these. The result is a dull and worn look. This can be countered with a darker shade of lipstick and intelligent use of eyeliner. Make sure the eyebrows too match up with the volume of hair on the head. Crop those locks: If you have full length gray hair then invest in a good Hairstyle to trim those locks to create a voluminous style to outshine the whites. Another Method is using temporary fix like Mehendi and Henna to get that reddish brown hair. This works best for a few white hair and using it on full gray makes you look the funnier version of brown. Stay confident and eat right: The best tip to handle gray hair is to stay happy with the way you are. It means accepting the Greys as a part of natural process. People may rue regarding your lack of care of yourself but once you accept yourself nobody can make you feel inferior. A balanced diet and oil replenishment plan should be followed to provide strength to the weakening strands. The hair wishes for additional proteins to work on the increased body demands. Natural oils may also be lost leading to rougher edges. A diet with added iron and copper can keep the hair from graying, and vitamin B boosts the hair immunology. These are only a few tips to handle the gray hair. Further it is important to note that confidence and good diet can make all the difference. Example- George Clooney efficiently carries salt and pepper hair color.